Your choice in windlass is of course a function of the size of your boat an weight of your gear. 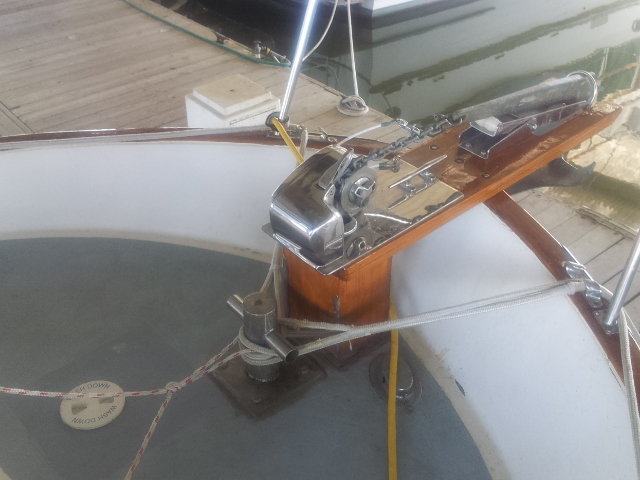 We have been very happy with our Lewmar 700 Pro windlass. We are 38 feet, 24k# and have a 44 pound Manson anchor on all chain rode. 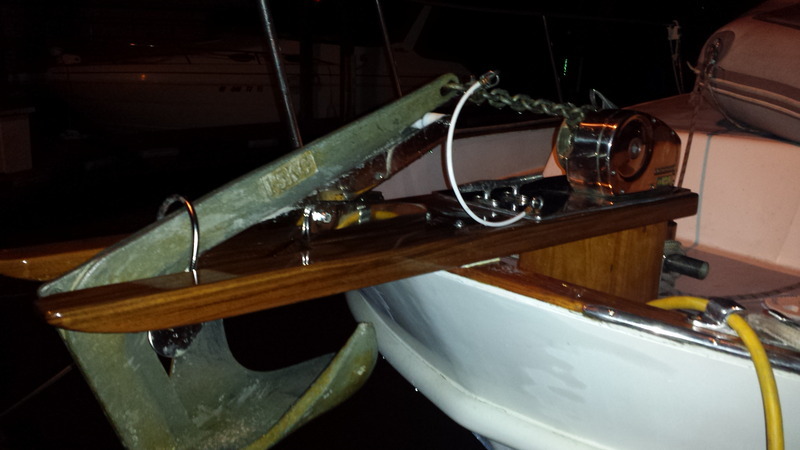 If you change, be sure the windlass gypsy is the correct one for your existing chain. My boat came with a powerwinch (see attached photo) that got replaced by me with a Lewmar Pro Series 1000 windlass with self-launching bow roller and wireless control fob. I use a combo rode of 120 ft of 5/16 chain and 240 ft of 5/8 Brait. It's been battle-tested over the past 7 years and has performed very well. If it died tomorrow and had to be replaced, I'd buy another in a heartbeat. Good comments above. Horizontal if you have no room below deck Or vertical if you do. I am partial to rope drum & gypsy, as it's what we had ( LoFrans Tigress 1200 W ) on the former sailboat and it's nice to be able to winch with a rope for that " one time " that you need it. A manual override for obvious reasons is also good as was with the Tigress. Chain Counter is also nice, I'm beginning to warm up to it the more I use ours. If it were not for a GREAT deal that I got on a " Quick vertical ", I would have gone with the Tigress again on our new power boat ...... as it was bulletproof and versatile. any thoughts on a simpson Lawrence lewmar horizon series 900 ??? Isn't Simpson Lawrence now Lewmar? This model has been out of production since 2006. I'm not sure if parts are still available if required. 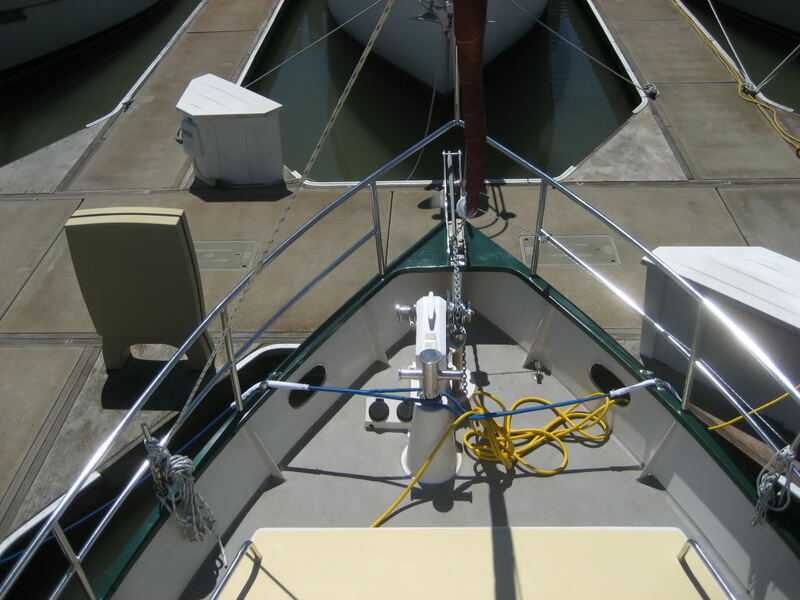 Take a look at Ideal Windlass. I have used them for over 30 years, and they are world class. You can still get parts for their windlasses made in 1940. They are very highly recommended. I have an Ideal and it's served me well. I sent mine back to the factory a couple years ago for inspection and refurbishment when I repowered. They took it apart and just replaced some minor parts, but they said it was basically fine after 40 years of use. Ideals are old school and heavy duty. I have a Quick on my current boat and I'm happy with it but I can second Ideal. I had one for over twenty years on a Hatteras and I replace only the foot switch and rubber on it. My Muir windlass works well with an all 3/8-inch all-chain rode. Our windlass is a Maxell RC 10-10, vertical, with combination rope/chain drum. Works well in both modes (we have a combo rode). Would have gotten the model with the extra rope capstan, but our windlass is inset in a covered well... and we didn't have overhead clearance with that hatch closed. hi, I also tigers. if you can describe how to use properly the rope drum to pull the rope in the next anchor and chain within the pulpit. have you opened a wing nut or raised chain off the gypsy or running a chain Once in place. I still have never pulled the rope in, it may sometimes be necessary. whether tigers freefall chance? how it works, open a wing nut gypsies? Which one do you have? Mine is a CWM. I understand that is only rated for a 40lbs anchor or such. Mine is an APC 35, 12 VDC. Vertical shaft, below deck. Ideals were OEM for Hatteras and other builders for many years. I use mine with a 66 lb claw and 3/8 all chain rode. In the summer months when we're in Alaska, it gets daily use. Always has performed well. Ideal,you get what you pay for! Replaced a Maxwell 3500 lb windlass when I found Maxwell no longer supplied parts. I had broken the shear pin and had to have one fabricated by a machine shop. Cost of the fabrication and hourly charge for the mechanic to locate machine shop and get the pin made was outrageous. Figured couldn't risk being without a parts supplier in some of the out of the way places I was headed.